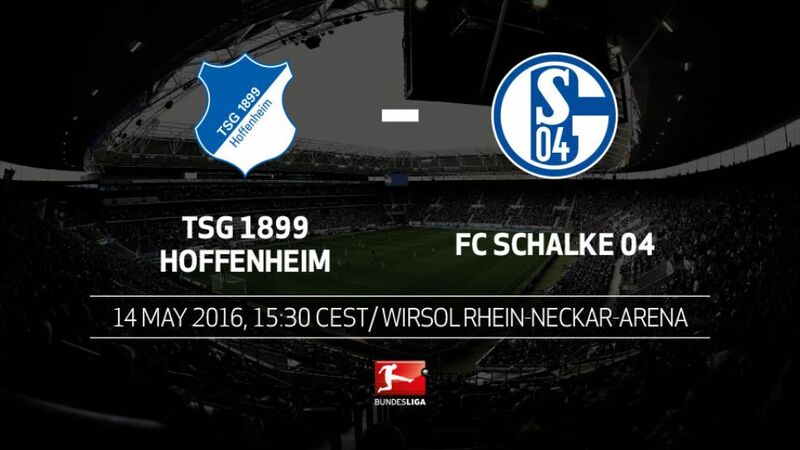 FC Schalke 04 will be playing for the right to a longer summer holiday when they head to TSG 1899 Hoffenheim this Saturday (kick-off 15:30CEST/13:30GMT). The Royal Blues are behind 1. FSV Mainz 05 and Hertha Berlin on goal difference with all three teams tied on 49 points going into the final round of fixtures. Although the trio are guaranteed UEFA Europa League football next season, precisely when they enter the competition will be determined by their final league position. For Schalke to avoid having to enter the tournament in its third qualifying round in July - and thus starting training early - they need a positive result in Sinsheim, where their hosts TSG 1899 Hoffenheim will be looking to end the season on a high having secured their place in the top-flight a week ago. FC Schalke 04 gave their fans an early Christmas present by beating TSG 1899 Hoffenheim 1-0 in the Matchday 17 opener. With the two teams directly below them - SV Werder Bremen and Eintracht Frankfurt - still to play each other, Hoffenheim are safe with 37 points. Schalke are currently seventh, which would leave them having to play two qualifying rounds of the UEFA Europa League. A victory would take them directly into the group stages, as the two teams directly above them - 1. FSV Mainz 05 and Hertha Berlin - meet on the final day.Hoffenheim were 17th on Matchday 20, level on points with relegated Hannover 96. Since Julian Nagelsmann was appointed in February, Hoffenheim have won 23 points. Only the top three of FC Bayern München, Borussia Dortmund and Bayer 04 Leverkusen have picked up more in the same period.A win would give Hoffenheim 27 points in the Rückrunde, surpassing their club record of 26 from the 2013/14 campaign.Nagelsmann is yet to suffer a home defeat, with five wins and one draw since his appointment. Ten of the Sinsheim club's 16 points from those games were won from losing positions.Schalke have already celebrated twice as many away wins this season (six) as they did in the whole of last season (three).Hoffenheim centre-back Niklas Süle FC Schalke 04 counterpart Joel Matip have played every minute this season. SV Darmstadt 98 defender Luca Caldirola is the only other outfield player to have managed this.